THE WRITING PERSONA: DO YOU HAVE OR NEED ONE? It got me thinking. And thinking some more. I thought about the books I would like to write, the stories lounging in digital files, biding their time and collecting cyber-dust until I revisit and inject them with life. 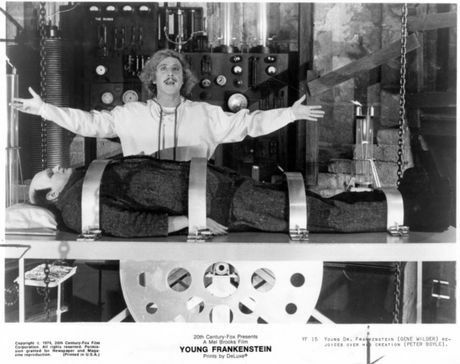 My fear is that most of those stories once brought back to life will stumble around like Frankenstein’s monster, scaring readers enough to come after me with pitch forks and torches. But maybe, if I adopt the appropriate persona, the stories will become somewhat separate from me and ultimately, if readers do want to pitch-fork-and-torch me they wont be able to find the actual writer since it will be a fictitious persona. Or maybe I just have not become the person I need to become to write the damn book already. Maybe the person I will become will know WHAT the story of the book actually is, because this person today, right now, does not know for sure. 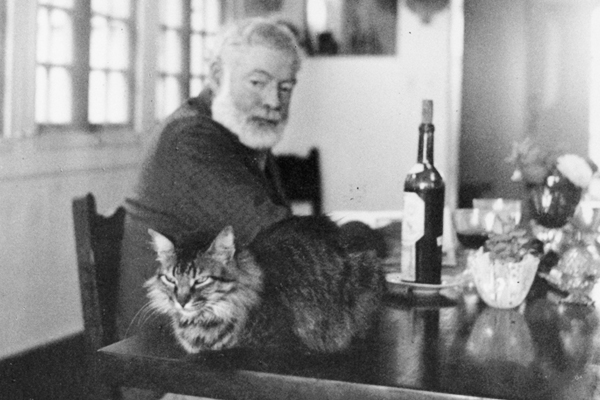 And while I do love me some cats and Papa Hemingway stories (and I’ve been known to have a glass of wine or three while writing) I don’t want to lose myself completely in a writing persona. Although, having just written that, it’s more than likely EXACTLY what I need to do; maybe not necessarily channel an alcoholic, unfaithful, egotistic, covertly misogynistic, talented dead man, but something or someONE else. Actually, it sounds kind of fun. I think I need a costume for this, though, to get into character (excuse number 953 to put off writing?? I need a costume). 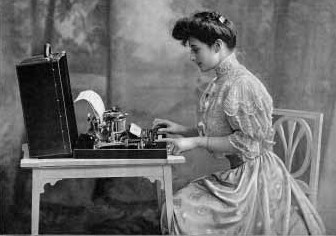 Until I can think of one, I will continue writing as plain ol’ me and see what comes to life and if the pages resemble a Zombie or Frankenstein’s monster, it will be MY living-dead writing terrorizing readers near and far. On a side note, I just finished reading The Paris Wife by Paula McLain. It’s a delightful read; well written, colorful, flowing style, about Hemingway’s first wife, Hadley. An inveterate reader could probably finish it in a long afternoon, it reads so easily. Alice Bradley, a writer (and painter) I admire for her simple style laced with (actually humorous!) humor, is the leader of the pack for a group of writers who want to practice The Practice of Writing. I am one of those writers and if this is a class, then I have failed miserably. The assignment is simple: write for 15 minutes a day using one of the prompts Alice gives after making us all feel better about not writing as much as we should want to write with a mini essay describing her own and very human experiences as a writer. FIFTEEN minutes! That’s it. Right. Calendar challenged gal that I can be, this course coincided with a romantic romp to the Hawaiian Island of Kauai for ten days. The ocean view from our condo trumped anything that could possibly be happening in computer land, and yet, I stoically completed most of the first week’s assignments. Okay, maybe three. But seriously! A new and delicious romance, warm trade winds blowing across the patio that made one want to shed as much clothing as possible, whales breeching off shore, pink cocktails, turquoise water, and did I mention the delicious romance part? The idea of tearing myself away from all of that and sitting solo in front of my lap top was really not appealing. Can you blame me? So, yeah. I have failed the Practice of Writing course. I’m sure someone will say, “You can’t fail at this course” or “There is no failing in writing – only learning!” or “There’s no crying in baseball writing!” (which everyone who has ever written anything knows isn’t true). There are a few days left in this course, so I will soldier on now that I am home and the delicious distractions of last week are now at arms length rather than in steamy proximity to… sorry got a little distracted again. I will complete the last few assignments with gusto. And, Alice, if you are grading us, you can give me a C+ for effort and I will be fine with that. PS: If anyone is grading this blog post on proper punctuation (read: quote marks and commas) stop grading now. I realize it’s a mess, but I have to go to work now and can’t fine tune it.